General Dentistry, Preventive Dentistry, Uncategorized • Comments Off on What’s the Scoop with Sensitive Teeth? As the weather begins to warm up we often find ourselves reaching for frozen treats to cool us down. But if you feel a jolt of pain in your teeth every time you take a bite of that ice cream or even a sip of your morning coffee, you are not alone. Sensitive teeth affects more than half of adults between the ages of twenty and fifty, and can be present in children as well. The most common reason for sensitivity is when the enamel starts to wear away exposing little tubules in the dentin of your tooth. These tubules are a direct roadway to your tooth’s nerves, and when they come in contact with something cold or hot, sometimes even sweet or sour, you will experience a nasty shock of pain. Although the enamel on the crown of your tooth is quite hard, it can be very thin and worn down in a number of ways. Grinding your teeth, acid erosion and even improper brushing can affect your enamel. Exposed roots is another major cause of sensitive teeth. The roots can become vulnerable with gum recession, chips in the crown of the tooth, cavities or fractures. There are several ways you can help fight against sensitive teeth. First, switch to a soft-bristled brush, if you haven’t already. Hard bristles can damage your tooth enamel and gum tissues. You can also try a toothpaste specifically dedicated to sensitive teeth. Ask your hygienist at your next cleaning as we always have samples you can take home. When possible try to avoid sugary or acidic foods and drinks. Cheese can also help stop an acid attack on your teeth after a meal! Be sure to give our office a call if you start experiencing tooth sensitivity, even if your recall exam isn’t scheduled for a while. Our office can often accommodate last minute appointments within a day or two. 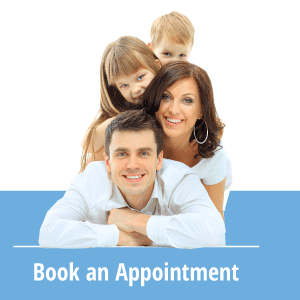 We can strengthen your teeth with a fluoride treatment, apply a desensitizing varnish, perform restorative work on areas with enamel loss, or even recommend a gum graft to cover exposed nerves. We also like to recommend a daily or weekly fluoride rinse for sensitivity as well. We offer a product here by Oral Science at the clinic. It’s important to have your dentist take a look so we can make sure there aren’t any other problems with your teeth!